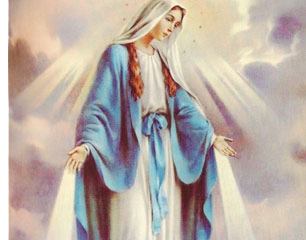 This organization is devoted to the Blessed Mother. They do Spiritual works of Mercy by visiting the sick, imprisoned, and fallen away Catholics. They sponsor Rosary marches and evangelize the Catholic Faith by going door-to-door. They meet every Monday after the 8 a.m. Mass. During our meetings they pray the Rosary and discuss weekly reports. Auxiliary members do not attend meetings but do offer their prayerful support. There is a need to increase our prayers to ask God’s blessing on our country and for the protection of our military personnel. The Rosary is prayed before all Masses except on Saturday when it is said after Mass. Let us come a little earlier for Mass and join in the Rosary for peace in the world.